This is the question David Macdonald and the team at WildCRU ask in a paper published today – and what we have in mind is harnassing the colossal global interest in Cecil the Lion as a force for the conservation of lions, and indeed big carnivores and wildlife more generally. To judge by another remarkable publication, the answer may be yes! 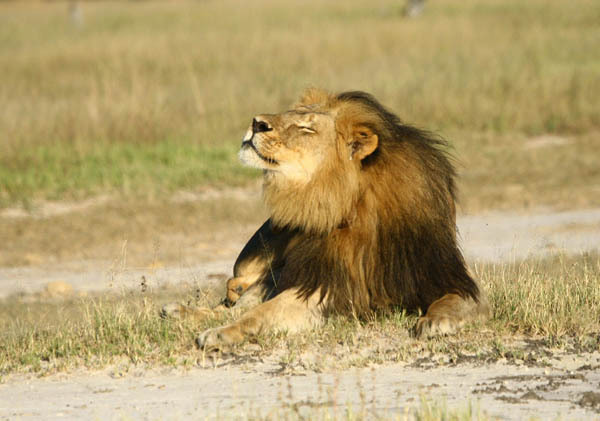 TIME magazine has just published a list of the 100 most influential animals and top ranked amongst them is Cecil: http://time.com/4301509/most-influential-animals/. Andy Loveridge and I have dedicated 16 years to working on the lions of Hwange National Park, lions which are part of a population that spans the five countries of the KAZA landscape (Zimbabwe, Botswana, Zambia, Namibia and Angola), and others in WildCRU work on lions in many parts of Africa: our team has worked hard on down-to-earth practical solutions, and will continue to do so (especially with the help of those who have donated to our work on https://www.campaign.ox.ac.uk/wildcru, but increasingly we turn to the wider picture for conservation – the framework set by economics, development, international relations and law, and politics. This is why it matters that TIME judges Cecil to be so influential, and why we are asking how the Cecil Movement might fruitfully herald new approaches to the well-being of lions and the people who live alongside them. To read more, click here: http://www.wildcru.org/news/cecil-most-influential-animal/.